Monument entrance fee to any monuments or camera fee. Any lunch, dinner, snacks or mineral water etc. unless mentioned in the itinerary. All other items and service not mentioned above. Namaste! We are warmly welcomed the traditional Indian way with hands clapped together. After immigration and custom formalities, we are transferred to the hotel for overnight stay. Morning sightseeing tour of Delhi visiting the Raj Ghat - the memorial at the site where Mahatma Gandhi was cremated, Jama Mosque - the largest Mosque in India and the Red Fort - Once the most opulent fort and palace of the Mughal Empire. Afternoon, sightseeing tour of New Delhi visiting the Humayun's Tomb, the Qutab Minar, drive along the ceremonial avenue - Rajpath, past the imposing India Gate, Parliament House and President's Residence and end the tour with a drive through Diplomatic Enclave. Overnight at the hotel. Today after early breakfast, transfer to the airport to board the flight for Leh. 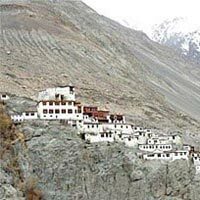 Upon arrival at Leh airport, meet with our representative and transfer to the hotel. Rest of the day for the acclimatization or in the evening one can explore the Ladakhi market. Overnight at the hotel. After Breakfast proceed for full day tour of Indus Valley. The attractions that you visit today include the Royal Museum at Stok Palace- called the Stok Palace Museum, it offers an insight into the heritage of the region; Thiksey Monastery- belonging to the Gelug sect of Tibetan Buddhism, this Gompa is the largest monastery in central Ladakh region, Stagna Monastery- placed on a barren mountain top, the monastery offers nice views of the surrounding area, Changchubling monastery- better known as Rizong monastery, it was erected in 1829 and is known for its high standards of monastic disciplines and the extremely well-known Hemis Monastery- India’s wealthiest monastery, Hemis is the biggest one too and the site of an annual festival. Overnight at the hotel. Today morning after early breakfast, drive to Nubra Valley (approx. 125kms / 05hours) enroute cross the world-popular Khardung la Pass. At an altitude of 18360 feet, it is one of the highest Motorable passes. As you reach the valley, check-in to the camps. Later on you visit the silver sand dunes near Hunder village. Hop onto a double humped Camel for a memorable camel safari around the place. Overnight at the camp. Today, leave the valley early morning after relishing sumptuous breakfast. The mornings here are extremely mesmerizing. Thereafter, visit the tiny yet beautiful Yarab tso Lake also referred to as the hidden lake. This crystal clear lake is bounded by barren yet beautiful surroundings. After sightseeing, begin your drive back to Leh via Khardungla pass. After arrival, check-in at a hotel. Spend the evening by enjoying leisure walk in the Leh market. Overnight at the hotel. Today morning after early breakfast, drive to Lamayuru (approx. 125kms / 05hours) to see the magnificent confluence of Zanskar and Indus River. En route we will visit Gurudwara Pathar Sahib, Magnetic hill, Likir Monastery and Alchi Monastery. In evening arrive at Lamayuru and transfer to hotel for overnight stay. Today after breakfast, we will visit the Lamayuru monastery and be a part of the morning religious ceremony. Here one can have a soothing and spiritual experience among those warm and friendly monks. 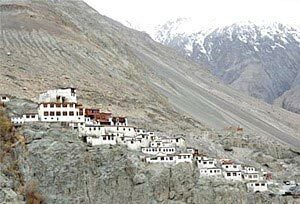 On the way back to Leh, we can visit Basgo monastery, which is famous for its statue of Buddha. Overnight at the hotel. Morning after breakfast, transfer to the airport to board the flight for Delhi. Upon arrival, rest of the day is free to explore the city or for individual activities. Late night transfer to the airport for your departure flight for onward destination. Company will not be responsible for any loss / Damage of Baggage, Train / Flight Delay or Cancellation due to technical fault or Natural disasters, Road blockage, Strike and Land slide etc.